Schrader Performance Sensors, an aftermarket brand of Sensata Technologies and OE manufacturer of tire pressure monitoring systems (TPMS), is among only a few brand names in history to celebrate a “dodransbicentennial,” a 175th anniversary. The Schrader brand dates all the way back to 1844 when August Schrader started a shop that primarily manufactured rubber valves and fittings. Later, Schrader became well-known for the invention of the famous “Schrader valve,” the same pneumatic tire valve that can be found on most vehicles on the road today. Schrader also is known for developing tire gauges and valves for diving helmets used by the U.S. Navy during WWll. 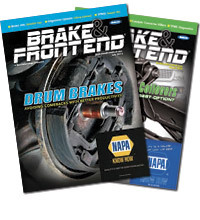 In 1984 Schrader pioneered some of the first TPMS systems to ever hit the market, giving the Schrader brand the position it has today as a world leader in OE and aftermarket TPMS. 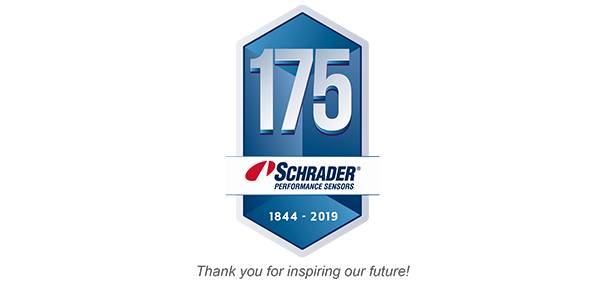 Schrader’s 175th anniversary comes just a few months after the sale of the hard parts valve business that is responsible for bringing the Schrader brand front and center in the automotive world back in the early 1900s. With the sale, Schrader plans to put 100-percent of its focus on new and upcoming technology while still providing its customers with the same level of quality they have come to know and trust from Schrader. For more information about Schrader, visit SchraderSensors.com.